Rose Hydrosol Rosa damascena, hydrodistilled, Organic, Bulgaria Rose hydrosol is wonderful in homemade skin care products. It can be used by itself as a toner, used to moisten a mask, or used in place of water in lotions or cosmetics recipes. Rosewater stimulates the skin, heightening the blood flow. Rosewater controls and balances sebum production, making it useful for both dry and oily skin. It can balance and restore the skin's Ph and helps tighten pores. Rose Hydrosol is a wonderful tool for healing. It may be used externally, as a facial or body spray, or in a compress. 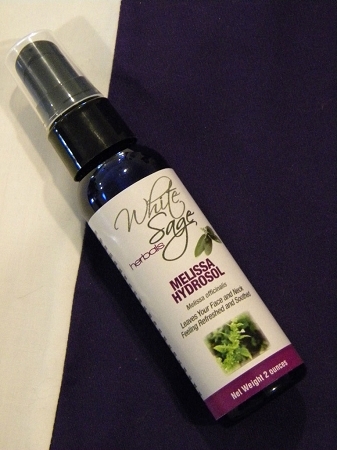 Our hydrosols are packaged in a 4oz plastic blue bottle, with an atomizer spray top.